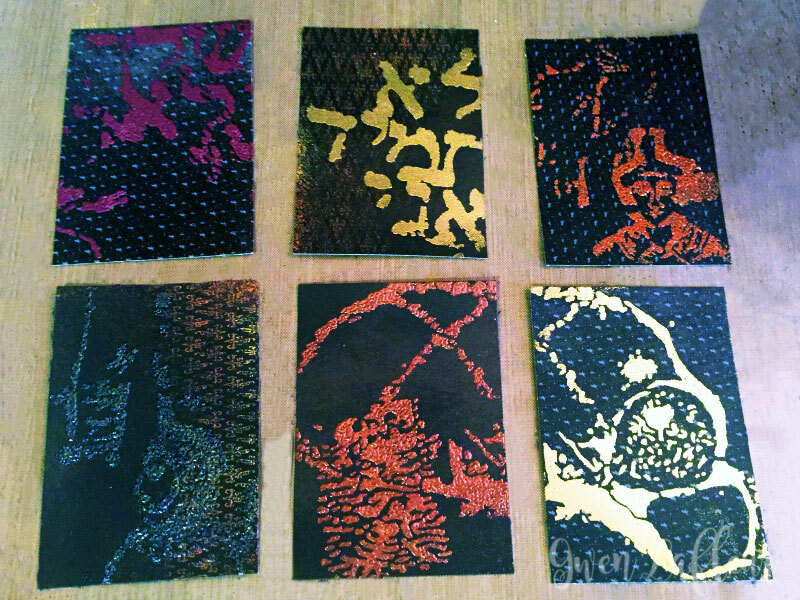 I love to make ATCs (Artist Trading Cards.) It's such a fun way to create something without the pressure of making a large piece of art. 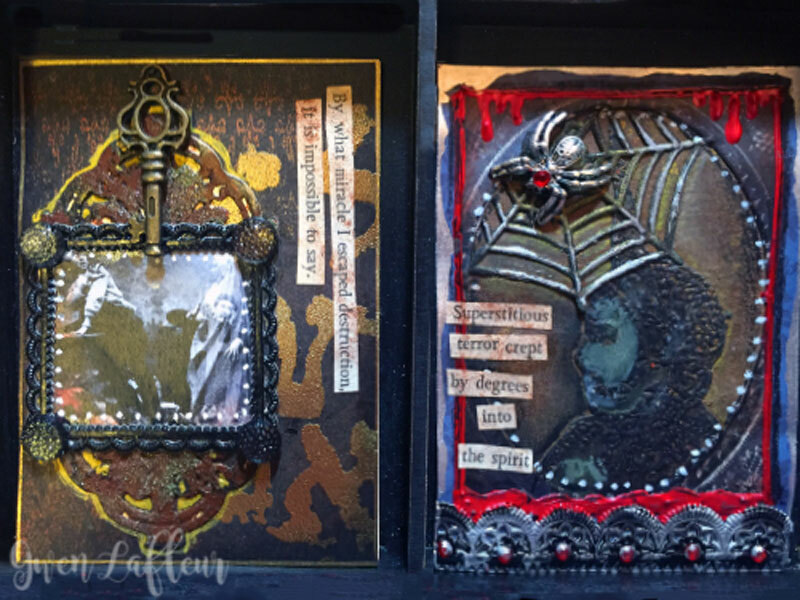 For a bit over a year I participated in a group that traded ATCs every other month and for each swap we had a theme and a kit that we used as the jumping-off point for our creations. 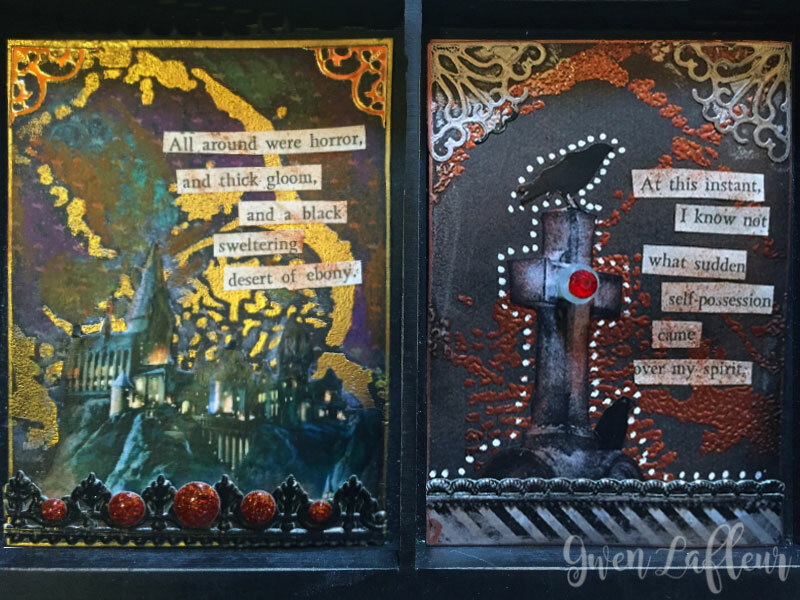 When the time came for us to do a Halloween swap, part of my kit included a paperback anthology of Edgar Allen Poe's poems and short stories - perfect for the theme! I used that as the basis for the cards I've shared here. Whenever I post ATCs, I'm frequently asked how I make them as they're always very layered and detailed. For this tutorial I've broken my process down into three basic steps: background, images, and embellishment. To begin making the backgrounds for this set I cut patterned paper to size (2.5" x 3.5") and then I used a gold pigment ink pad and a foam blending tool to ink through a stencil onto the background. 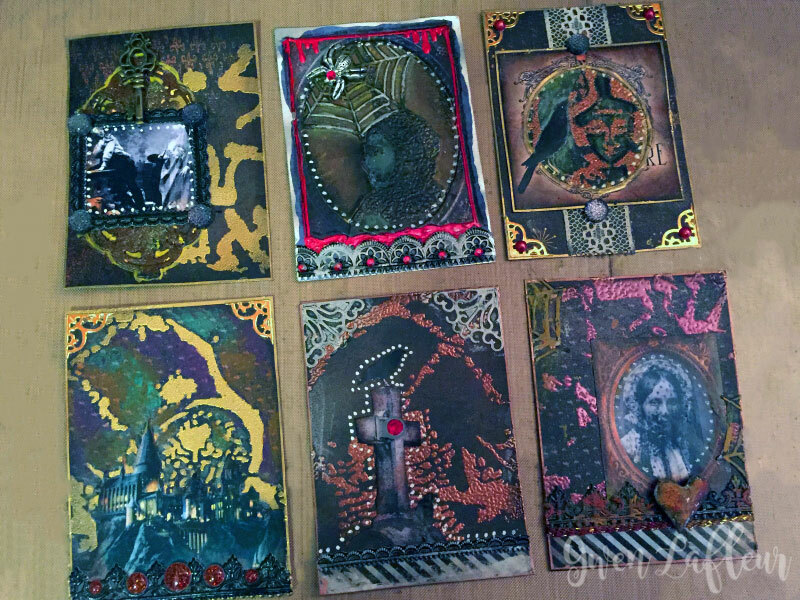 For my Halloween ATCs, I thought the Hats stencil by Orly Avineri was the perfect choice, so I used different pieces of that design for all of them. 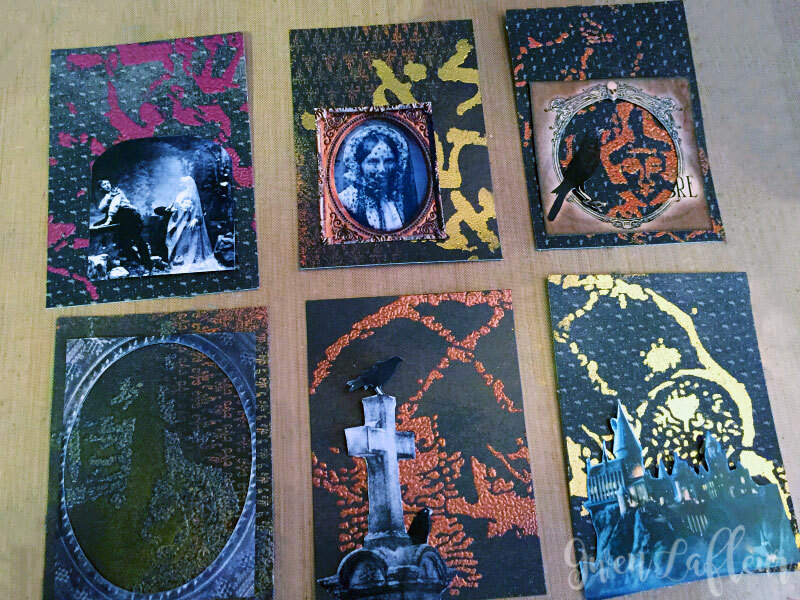 I heat embossed the pigment ink, using a different embossing powder on each card to add variety. For the final part of the process I added color to some of the images using colored pencils or ink, swapped out a few of the backgrounds, and then added trims and embellishments. I like to add small flat-backed jewels, Dresden trim, bits of lace and ribbon, and metal charms. I'll also frequently add scraps of fabric or use washi tape as a border along one side of a card. To finish each ATC, I edged with brown and then black permanent ink, then used a gold paint pen to add a gilded effect along the edges of each card. 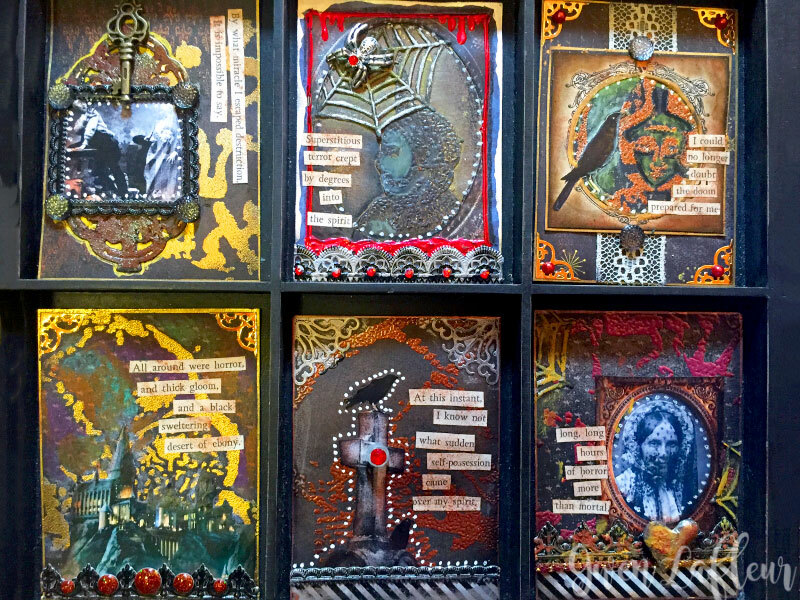 Here you can see close-ups of each of the completed ATCs - just click on any of the photos to see it larger. 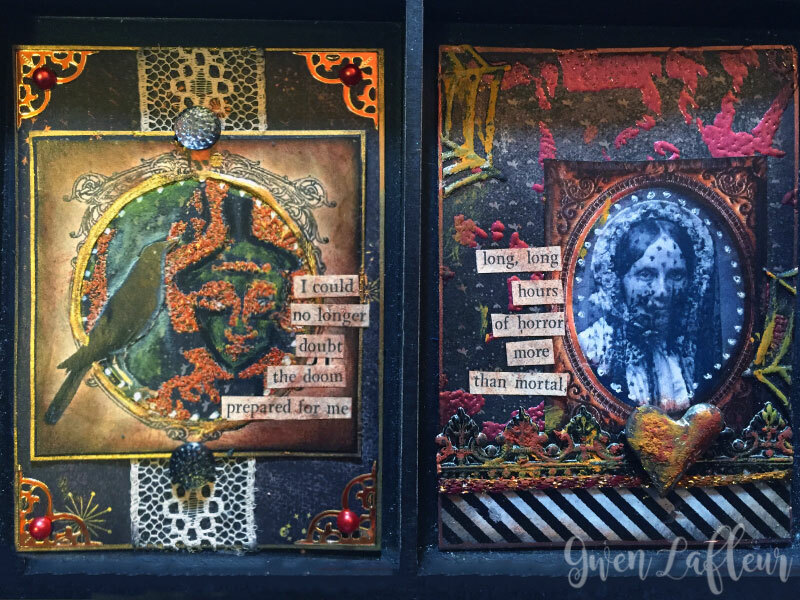 If you enjoyed this post, you may also be interested in my Indian Summer Themed ATC tutorial.